Unlimited available	 Horse Summer Camp $500.00 Welcome! 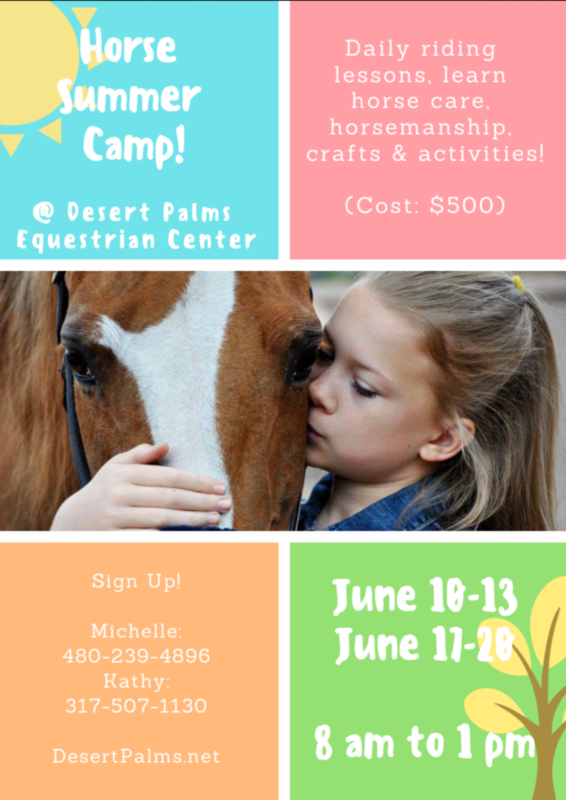 By purchasing this ticket, you are claiming you have read and understand all details listed on this page and on https://desertpalms.net/riding-camps/horse-summer-camp-2019-1/ Make sure you fully understand the details BEFORE purchasing a ticket. You will also be required to fill out a liability waiver for your children at desertpalms.net/waivers . Thank you. This camp runs 4 days: June 10th through June 13th, 2019.